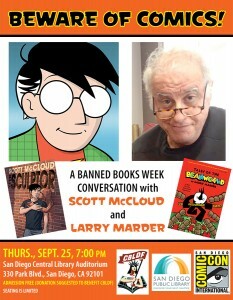 CBLDF’s Banned Books Week Tour! Banned Books Week launches this Sunday, September 21, and CBLDF has events planned coast to coast all week to celebrate the freedom to read! From New York City to California, CBLDF will spend the week celebrating comics and graphic novels with parties, talks, and more! 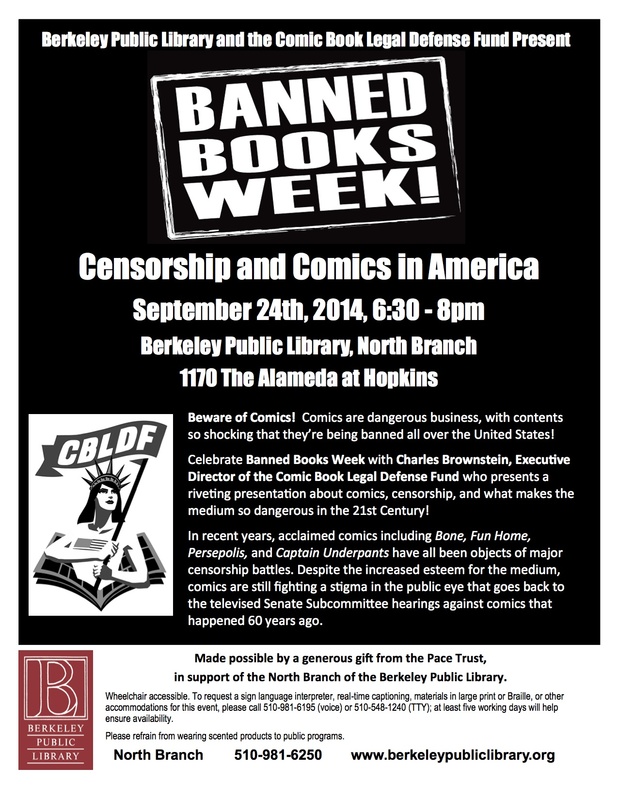 CBLDF’s Banned Books Week Kick-Off! Monday, September 22 • 6:00 – 9:00 p.m. Celebrate the Freedom to Read with the city’s greatest graphic novelists at CBLDF’s Banned Books Week Kick-Off! Join us to wind down another successful Brooklyn Book Festival, and to celebrate the opening of Banned Books Week, which this year celebrates comics and graphic novels! Mingle with comics creators and learn what you can do in your community to protect the freedom to read! This event is free to CBLDF Members and Brooklyn Book Fest partners. 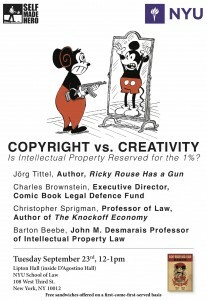 Copyright vs. Creativity: Is Intellectual Property Reserved for the 1%? Tuesday, September 23 • 12:00 – 1:00 p.m.
To coincide with the US launch of the graphic novel, Ricky Rouse Has a Gun, this panel asks whether copyright has lost one of its principle functions: to protect authors and original ideas. In the digital age, does copyright have a purpose beyond protecting corporations from illegal copying and file sharing? 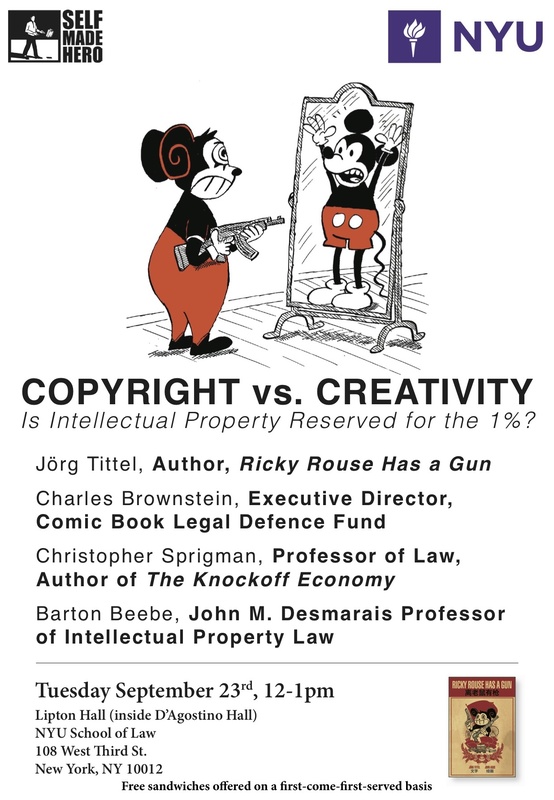 Panelists: Jörg Tittel, Author, Ricky Rouse Has a Gun; Charles Brownstein, Executive Director, Comic Book Legal Defense Fund; Professors Christopher Sprigman and Barton Beebe, NYU School of Law. Email Nicole Arzt, nicole.arzt@nyu.edu, if you plan to attend. Free sandwiches will be offered on a first-come-first-served basis. Wednesday, September 24 • 6:30 – 7:30 p.m.
Charles Brownstein, Executive Director of the Comic Book Legal Defense Fund, takes you through the secret history of American comics in this engaging lecture. Learn how moral panic led to comic book burning, how censorship shaped the modern comics landscape, what modern threats to comics freedom still exist, and what YOU can do to help! Thursday, September 25 • 7:00 p.m.
• Free Posters and Resources for Banned Books Week!